If someone in your family loves knitting, you probably have a lot of yarn leftovers. Be careful – it's not mere garbage, it's a cool crafting material. Watch this video and see yourself how many cool crafts you can make out of yarn leftovers. These ideas are especially handy now, in these cold winter days. Let's craft together! If you have a couple of empty walls to decorate in your home, learn how to make awesome yarn pictures. It's very easy to make them, ad the result is just adorable! All you need is a piece of wood as a canvas and a few nails to hold the yarn. Ask your parents to help you with hammering and here you go! A cool and stylish picture is ready to decorate your space. It can also be a cool present to someone you love. It won't be left unnoticed, I promise. Yarn leftovers are perfect for making pompoms. 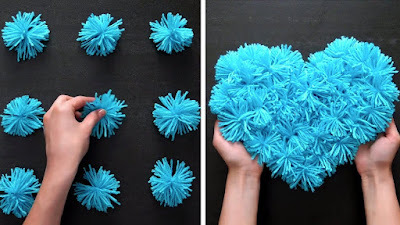 We know a couple of really easy ways of making pom poms! Learn at least one easy way to make them and let your imagination run wild! You can make a lot of things out of pompoms – decorations, toys, garlands, scarves, even a doormat or a cushion. It's another sweet idea to decorate your space on a budget. 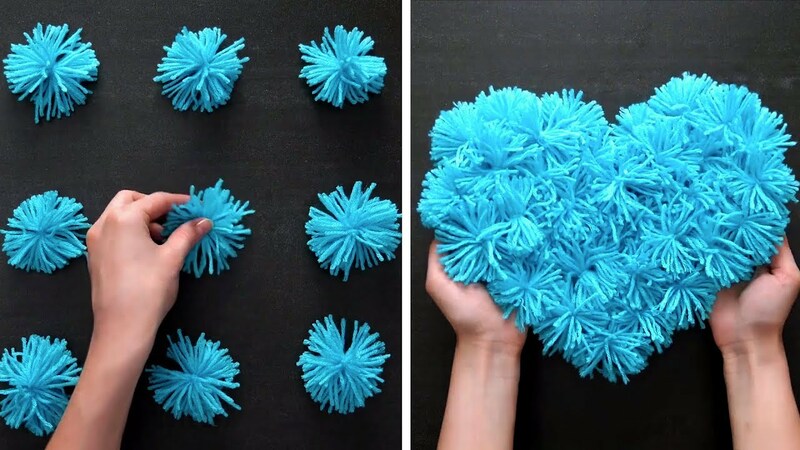 Using thick yarn, you can even make pom pom toys. Add up some mod podge to your yarn crafts and make cute feathers for a dream catcher. You'll also need some yarn for that one to wrap the ring. If you use a plastic or paper cup as a base, you can make a lovely flower pot out of colorful yarn leftovers. A flower in such a sweet pot can be an awesome souvenir to someone you love.